Twin Creeks Country Club has breathtaking views of the hill country, is only 5 minutes away from Lake Travis, and was home to BEVO the U.T. mascot. This particular tract of land (760 acres) was owned by the largest homebuilder in Austin, and was Mr. Milburn's private ranch. Members of Twin Creeks golf course community will enjoy 1st class club facilities and amenities, including a private clubhouse with dining facilities, community walking trails, a community recreation center and a water park featuring a junior olympic-sized pool and zero-entry resort-style pool. The Fred Couple's designed golf course is absolutely beautiful! Twin Creeks is also only 5 minutes away to Elizabeth Milburn Park. High school kids can also walk to Cedar Park high school just across the street. Popular builders in Twin Creeks include Ryland Homes, David Weekley Homes, Newmark Homes, and Bowen Family Homes. D.R. Horton also built some really nice courtyard homes as well. You will also want to see the finishout of the craftsman style homes built by Fairway View Homes. Shoppers will be happy to know they are also only 5 minutes away from Lakeline Mall, 10 minutes from 1890 Ranch, 15 minutes from the Round Rock Outlet Mall, IKEA, and 15 minutes from Wolf Ranch in Georgetown. Commuters to Austin, Round Rock, Pflugerville, and Liberty Hill will have about a 20-30 minute commute. Major employers nearby include DELL Computers, IKEA, St. David's Round Rock medical center, Cedar Park Regional Medical Center, and Freescale Semiconductor. 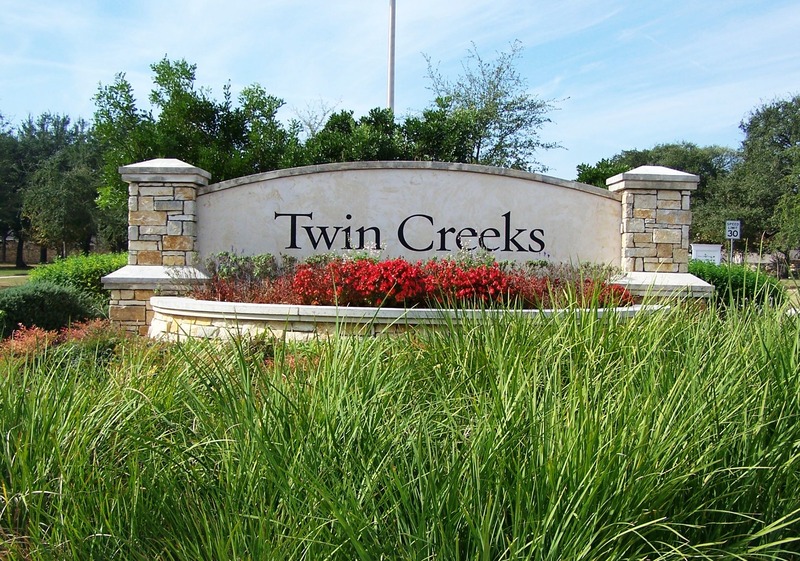 Twin Creeks homes for sale typically run from the mid $200's - mid $600's.